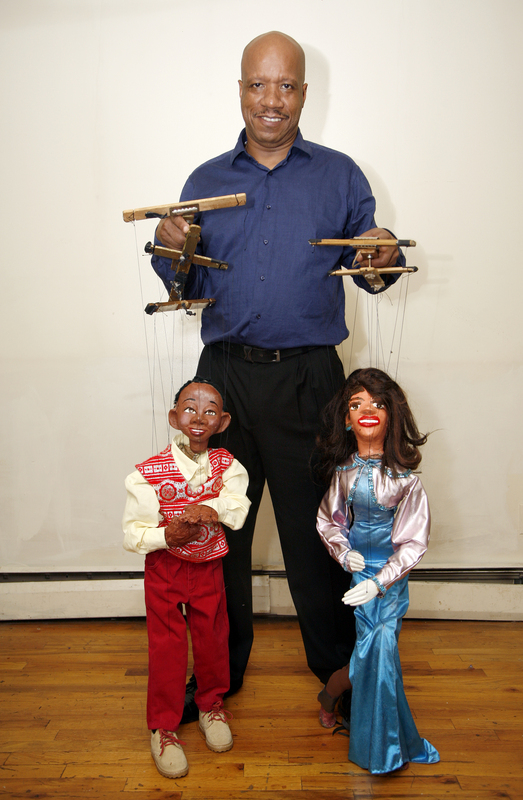 The Ballard Institute and Museum of Puppetry at the University of Connecticut will present Harlem River Drive by Bruce Cannon of the Swedish Cottage Marionette Theatre on Saturday, Feb. 9, 2019 at 4 p.m. as part of the Living Objects: African American Puppetry Festival and Symposium, a four-day series of performances, presentations, discussions, film screenings, and workshops, from Feb. 7 to 10, 2019, celebrating the rich world of African American puppetry in the United States. This performance will take place at UConn’s von der Mehden Recital Hall, located at 875 Coventry Rd, Storrs, CT 06269. Harlem River Drive celebrates the history and diversity of the world’s most famous black community–New York City’s Harlem in a performance by famed New York City puppeteer Bruce Cannon. Puppet characters Uncle Mervin and his nephew Abdul explore the history and diversity of Harlem, and through their different perspectives, we learn about the trials, tribulations, and historic landmarks of this dynamic neighborhood. The colorful marionettes and hand puppets in this documentary and cabaret one-man production are both entertaining and educational. This show runs approximately 50 minutes and is family friendly. Born in Harlem, Bruce Cannon has been active in the fine and performing arts since childhood. In 1974 he graduated from New York City’s prestigious High School of Music and Art, where he majored in classical trombone. In 1975 he was granted a paid apprenticeship at the renowned Swedish Cottage Marionette Theatre in Central Park. This famous troupe of park puppeteers has been an integral part of the cultural life of New York City since 1939, and in 1997 Cannon became its Artistic Director. Early in his career at the Swedish Cottage, Cannon began to develop his own style of puppetry and entertainment relating to inner-city children. His one-man shows, including Harlem River Drive and The Magic of Music, integrate music and dance with puppetry. His credits include Lincoln Center, the Children’s Museum of Manhattan, the American Museum of Natural History, the Dance Theatre of Harlem, the Apollo Theater, and the Schomburg Center for Research in Black Culture. His work in film includes The Prince of Central Park (1977), The Muppets Take Manhattan (1984), and What Maisie Knew (2013). In recent years Bruce Cannon has been sponsored as a presenter by Montreal’s Festival de Casteliers and the Festival Mondial des Théâtres de Marionnettes in Charleville-Mézières, France. Tickets can be purchased in advance at the Ballard Institute and Museum of Puppetry, by calling 860-486-8580, or online at bimp.ticketleap.com. A surcharge will be added to any purchases made online. Tickets may also be purchased at UConn’s von der Mehden Recital Hall on the day of performance starting at 3 p.m. There will be open seating and no reservations. For address and parking information for von der Mehden Recital Hall, visit vdm.uconn.edu/plan-your-visit/directions-parking/. For more information or if you require an accommodation to attend this event, please contact Ballard Institute staff at 860.486.8580 or bimp@uconn.edu.